Prime rib is and perhaps always will be the king of holiday roasts. There is nothing so primal, so celebratory, so downright majestic as a hunk of well-marbled beef, served medium rare with or without the bone, with a crackling, well-charred exterior. Start with bone-in or out, well-marbled beef. Bones don’t add flavor, but they do regulate temperature, increasing the amount of tender, medium-rare beef you’ll get in your finished roast. And, of course, you get to gnaw on those bones when you’re done. 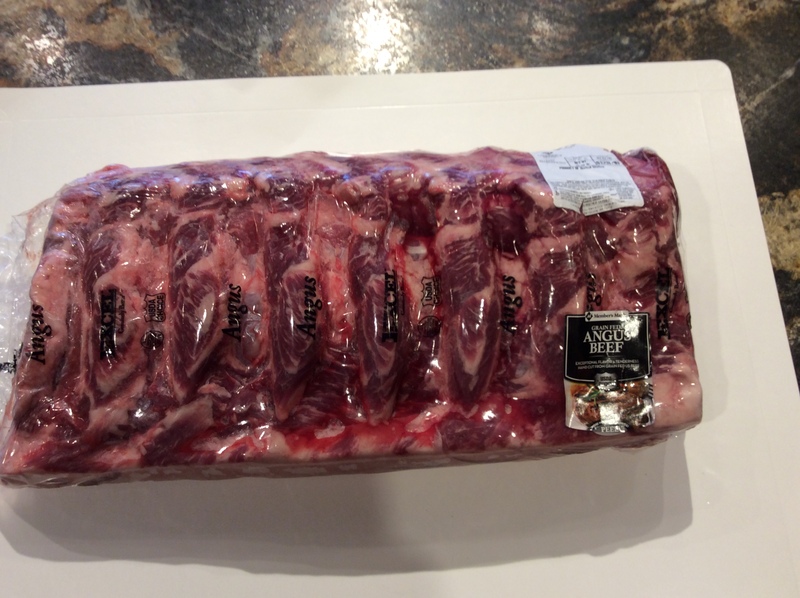 Marbling is intramuscular fat that appears as a white, pattern within the meat. The more marbling, the richer and tenderer your beef will be. Though most guides recommend a pound per person when you’re shopping for prime rib, this is for very hungry eaters: You’ll most likely get away with three-quarters of a pound per person, or about one rib for every three people. The Prime Rib to the Right is a 16 lb CAB (Certified Angus Beef) roast. Season it well, and season it early if you’ve got time. Prime rib has plenty of flavor on its own, so there’s no real need to add much more than a good heavy sprinkling of Three Little Pig’s Memphis and All Purpose BBQ Rubs. 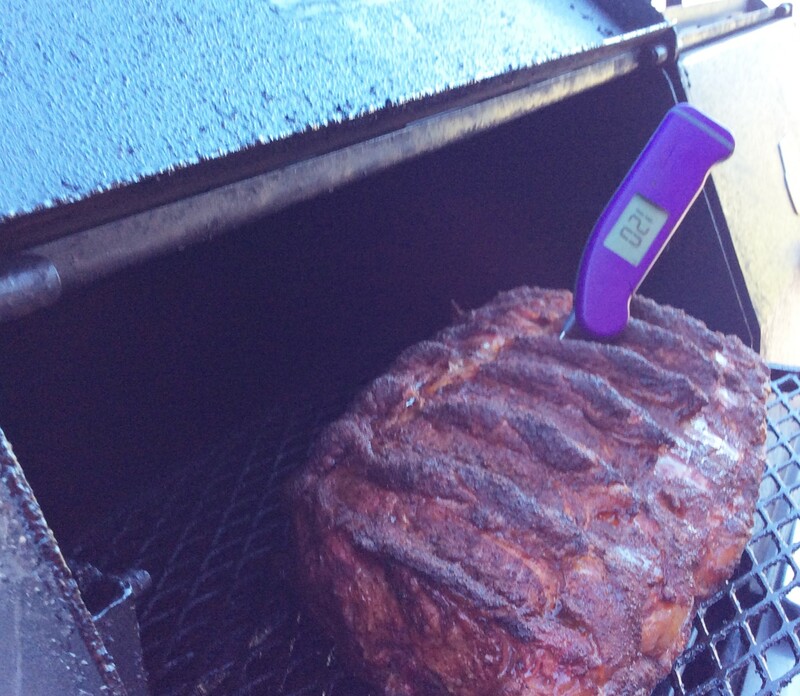 If you’re able to plan, it’s best to season your prime rib with the rubs at least the day before. Letting it sit on a rack in your fridge uncovered. This will allow time for the rubs to penetrate and season more deeply while also drying out the surface, which will lead to better crusting during smoking and grilling. Start it in the Smoker. Here’s where the “reverse sear” part kicks in. Traditional prime rib recipes will have you start your meat in a very hot oven, based on the premise that searing meat can “lock in juices.” This has been proven time and again to be false. 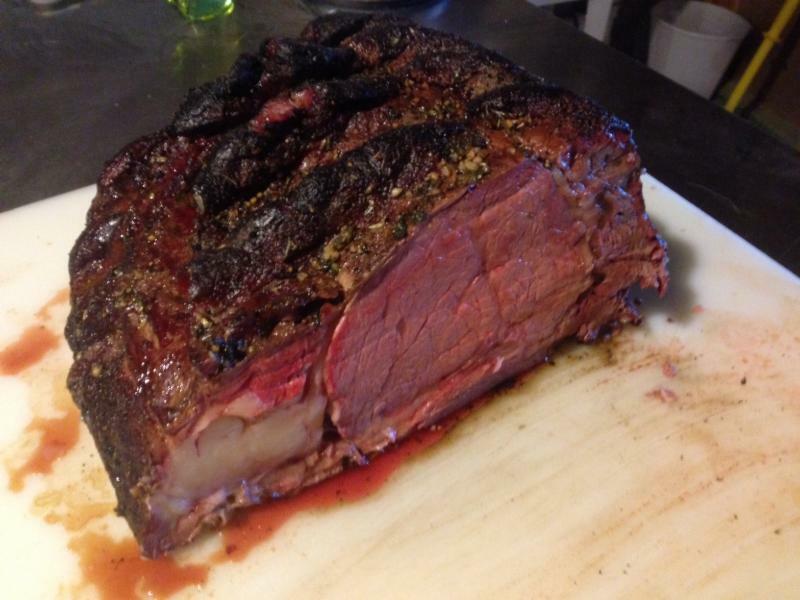 If you want the juiciest, tenderest prime rib, your best bet is to do the opposite: Start your prime rib in the smoker at 250 degrees, while applying your favorite flavor wood once the roast is set on to the smoker, I prefer couple of pieces of Pecan , let it reach about 120-125°F measured in the center of the roast for medium rare. 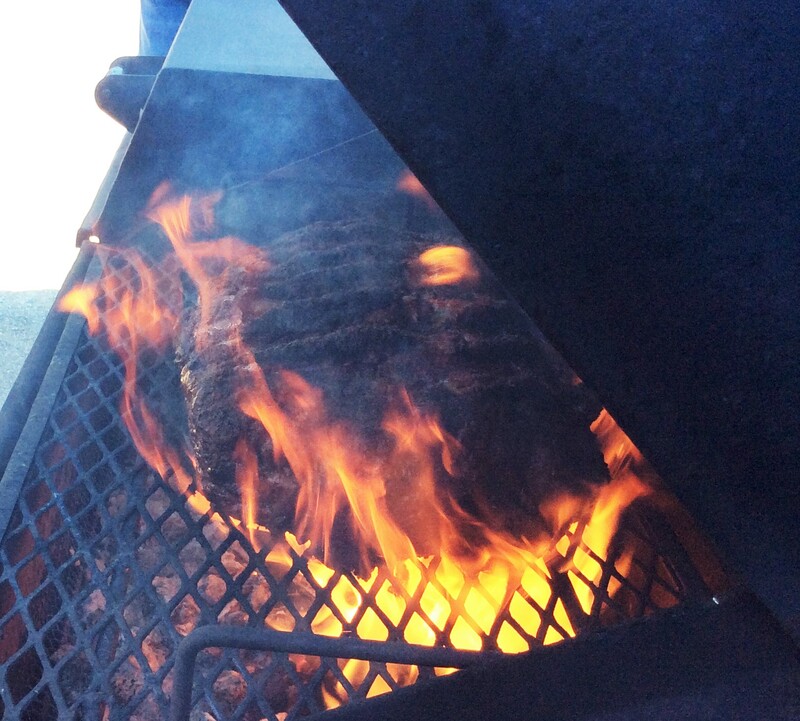 Finish on the Grill.Remove the roast, from the smoker and move down to the charcoal grill of the smoker, set the beef back inside for just a few minutes to crisp up the exterior, while rotating top and bottom every 2 minutes. Do have a good set of heat gloves to move the roast. The result is prime rib that is measurably juicier and tenderer, with a crackling crust and the biggest expanse of rosy interior. This entry was posted in BBQ Classes, Meats, Recipes and tagged 3 little pigs, Angus Beef, bar b que, barbecue, barbecue rubs, barbecue sauces, BBQ, bbq rub, BBQ Rubs, beef, Best BBQ Sauce, Chris Marks BBQ, Good One Smokers, great bbq rubs, grill barbecue, Kansas City BBQ, meat rubs and sauces, Memphis BBQ, pork rub, Prime rib, reverse sear, rubs for grilling, smoked barbecue, smoked meat, Three Little Pig's Championship, Three Little Pigs Rubs, World Champion BBQ. Bookmark the permalink.